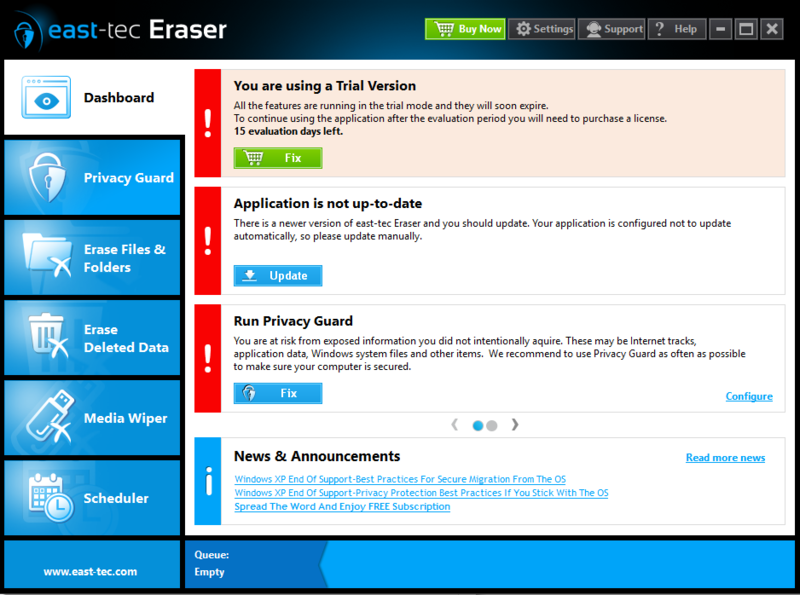 "Protect all of your personal data and increase your privacy on the Internet using East-Tec Eraser 2015." If you truly want to make sure all of your data and private information on your computer remains safe and secure, it is important to have something that has your back and ensures proper security and deletion of the sensitive files. Using East-tec Eraser will ensure that your sensitive data is safe and secure by deleting all sensitive information and data that you do not want to keep lingering on your computer, even after you think you've deleted it. Every time you use the Internet, information is stored on your PC that does not get deleted when you are done doing information you would prefer to remain secure. You can protect your privacy and sensitive data by using Eraser to thorough go through your computer and delete all of this data whenever you are done using the Internet and deleting all of this unnecessary lingering data. This will not only improve your security, but also the performance of your PC by helping by keeping it clean. Eraser will delete all traces of information of your Internet activity and private information, as well as cleaning unnecessary left-over data from all of your favorite software that you use on your computer, including instant messengers, office software, torrent software, media software, and all of your favorite Internet browsers you have installed on your Windows PC. East-tec's software uses advanced algorithms to ensure all of this data is thoroughly deleted, and doesn't miss file. It also permanently deletes the data, which is something Windows does not do by default when using the Recycle Bin. When deleted by the Recycle Bin, to speed up the deletion process, the data is simply inaccessible to the normal user and gets overwritten when necessary. This means that is someone knows what they are doing, they can go through your hard disk and retrieve this information even after you thought it was deleted. East-tec Eraser deletes your files beyond recovery, and deletes the data you want deleted, when you want it deleted. 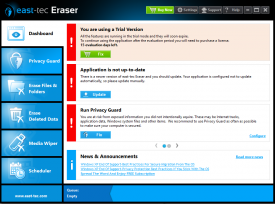 You do not need to keep up with deleting all of your data, because Eraser does that for you automatically in the background to continue to keep your PC fast and secure. Even better, anyone can use East-tec Eraser. 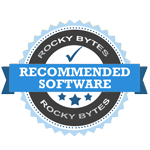 With an easy to navigate interface and understand terminology, even the novice user can use this software and get great protection without needing to learn any of the advance stuff.